When using Shopify or WooCommerce, linking your products is easier than 1,2,3! If you are using Shopify or WooCommerce, you have come to the right place! If you are using another e-commerce platform, see this guide on how to add your product links. We are always developing and adding more features at Snapppt, we do plan to integrate more tightly with other platforms soon! Once you have connected with Shopify or WooCommerce it makes adding product links so much easier! 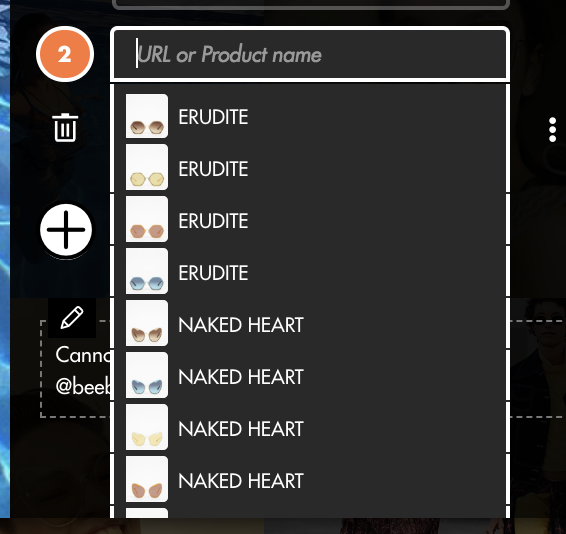 You are able to add product links to images by typing in the name of the product as it is listed on your store rather than having to add the url. Firstly, check that you are all connected with your e-commerce store. This info is found within your Account Details. Take a look at how to connect Snappt to Shopify or WooCommerce. 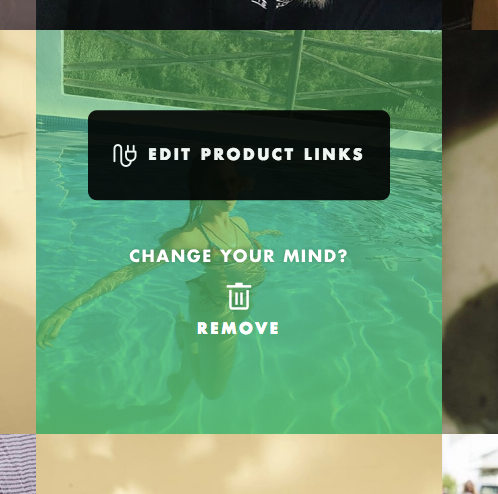 Once you are connected click Add/Edit product on an image within the Snapppt backend. Press the plus button next to the image to add a product link. Click on the top box and a dropdown menu will appear. This will include all of the products from your website. Select the product you would like to add to the image. Find out more about hotspots here.